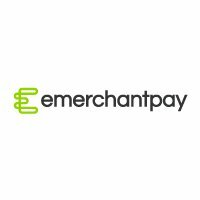 Emerchantpay is a leading online, mobile and POS payment service provider. We help e-commerce businesses of all sizes and sectors accept payments via multiple customer touch points. Designed to increase conversions, our offerings include robust payment processing technology, popular alternative payment methods and a range of acquiring services. emerchantpay is registered as an authorised Electronic Money Institution (EMI) and has the FCA’s permission to issue electronic money (e-money). On the technology side, we are proud Ruby and Rails hackers, and have employed the Ruby/Rails stack for quite some time now, still going strong. We are one of the first (if not the first) solid, products-oriented Ruby/Rails based companies here in Sofia. We have improved the local Ruby/Rails community through multiple challenging projects in the ecosystem, giving the opportunity to a number of dedicated engineers to learn and grow. Despite Ruby being our main programming language and Rails – our main web framework, we do not shy away from other stacks, and have designed a number of libraries and tools using PHP, Java, .NET, Node.JS, Go, JRuby, Elixir – to add up to a truly multi-paradigm, multi-language environment. We take BDD seriously, and using RSpec have advanced to more than 40 000 examples in certain projects all done via automated ways with Jenkins CI.